The new Brian Daley Bibliography has been added! 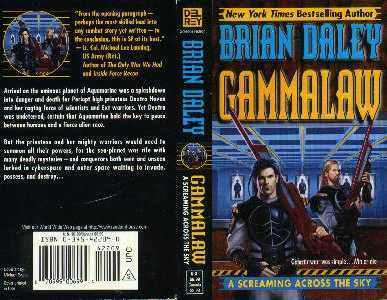 Brian Daley is my favorite author of all time. The first book of his that I read was his Tron. It was one of the few longer stories I truly enjoyed. Although I enjoyed it for the ideas and action, what I really enjoyed was the way Mr. Daley conveyed the story. I saw the movie first and enjoyed it and then I received the book as a gift and so read it. The book was, as it always seems, much better than the movie. I have to tell you, reading is something I enjoy, but it's not something I do easily. I have tried reading many books and become bored very easily. It's very frustrating when you hear about wonderful stories like Lord of the Rings by J.R.R. Tolkein and you just can't get into the story. So far, the list of authors who are "readable" for me is very small. The list includes, in no certain order, Barbara Hambly, Ben Bova, Robert Sheckley and Brian Daley AKA Jack McKinney (with James Luceno). 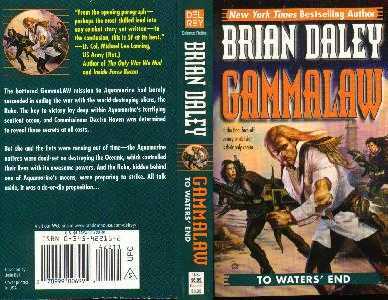 This page is for my favorite though, Brian Daley. I first discovered the following information in 1997. 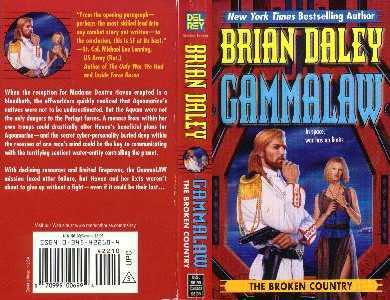 Author Brian Daley, who wrote The Doomfarers of Coramonde and other works of fantasy and science fiction, including three "Star Wars" novels, died February 18 (1996) at his home in Arnold, MD, near Annapolis. He was 48*. The cause was pancreatic cancer, said his wife, Lucia St. Clair Robson. He worked as a house painter, waiter and welfare case worker before publishing The Doomfarers of Coramonde (1977), about an Army unit that is transported from Vietnam to an alternate universe, where it must slay a dragon. The book's success led to a sequel, The Starfollowers of Coramonde (1979). The last books by Brain Daley from Del Rey The series centers on the character of Burning, the leader of a military unit known as the Exts. The group is taken from there home planet to another and then a third during a chain of events which changes interstellar space forever. The title of the books is very descriptive. Gamma stands for the mission type (it's low priority as it is not an alpha or beta mission) and Law is an acronym for Legal Annexation of Worlds. I hesitate saying too much about the story as I want it to be a surprise to you. I enjoyed the books for their believable military and human components. 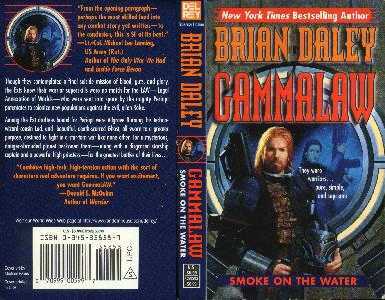 The one thing I hated about reading the books was knowing they were the last four new Brian Daley books I would ever get to read. I started by allowing myself to read only a chapter a day and soon gave that up after I was pulled into one of his stories once again. Looking on the covers of the books you'll see on Book1 is Burning and his sister Ghost (in the background), on Book2 is who I believe to Zone (he's a crazy man) and also Burning, on Book3 is Burning and Souljourner and on Book4 is Ghost, Burning and Zone. My all time favorite. Read it once a year at least. The partner to the first. Always read after the first. If you haven't read the 3 Han books, you are not a SW fan. Based on the screenplay by Steve Lisberger. Story by Steve Lisberger and Bonnie MacBird. Based on that great Japanese cartoon series! Liked this one. Mix of light mystery & sci-fi. Easy read. The radio drama was amazing to listen to. Like listening to the old radio serials. Brian's last series. These were actually put together by Brian's good friend, James Luceno after Brian died. Was hard to read at first, knowing they were his last books. Many thanks to all involved in getting these out, especially James Luceno. Also note that Brian Daley was a writer & a story editor for the animated series The Adventures of the Galaxy Rangers From 1986 thru 1989. Also joining him as a writer was Brian's friend James Luceno. I have read many comments on the series which usually say things like: "Ahead of it's time" & "Intelligent stories". As I continue my limited research on Brian Daley, I will update my information from time to time. I would like to end by saying that I hope to add many more covers and do a better job of describing the books. Thanks to Del Rey for the info they provided as well as their assistance. And thanks Lucia & Ginny for being kind to one of Brian's fans. Last but not least, thanks to friends from Brian's past and other fans for sharing their views and stories.